The price on web is just reference, please contact us to get the exact price. The round shank cutter tools and holders are using for foundation drilling; they are using for all kinds of piling machines and drill rigs. We can supply all kinds of round shank cutter tools for foundation drilling, such as: 19mm, 22mm, 25mm, 30mm and 30/38mm shank cutter tools. The complete cutter tools apply for foundation creation, solid wall, water well drilling, trenching, mining and tunneling. 1. Alloy steel body, made by material ASTM4140 (42CrMo) or ASTM5140 (40Cr), heat treatment with HRC38-42 hardness, has high toughness and wearable character. 3. 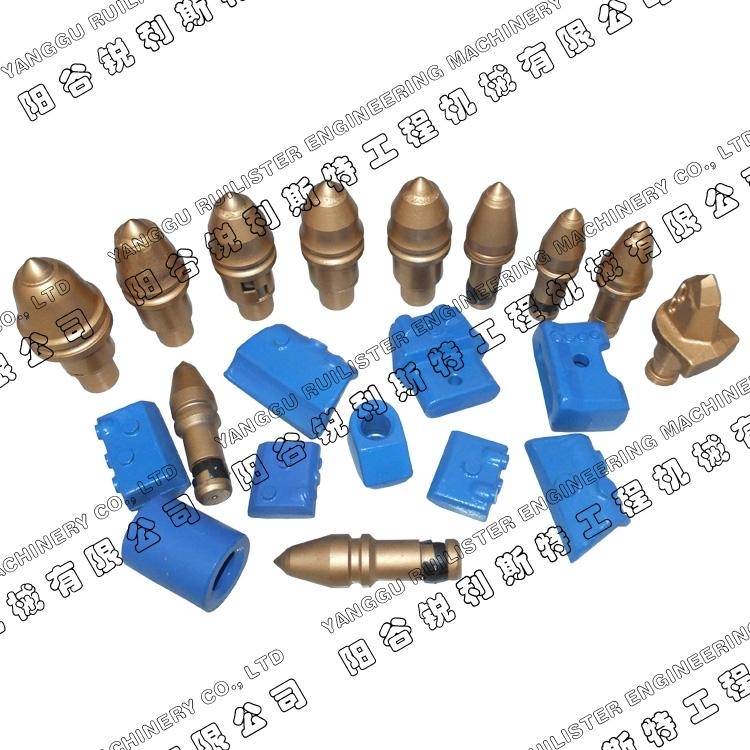 The products adapt to the machine with all the performance features, such as a high feed rate, a long service life and short tools changing time. Replacement of Betek specification:B47K17.5H, B47K19H, B47K22H, B43H, B85/2, BSK12, BSK15, BSK17, BTK01, BTK03, BTK07, BTK10, BTK14, BTK16, BTK62, BTK63, BTK70, DV08, DV25, BHR07, BHR12, BHR20, BHR167, BGS75, etc. Replacement of Kennametal specification:C21, C21HD, C10, C10HD, C20, C31, C31HD, C30, U40HD, U47HD, DS01, DS04, DS05, DS06, U43H, etc.